Important parts of American history, not directly related to the San Fernando Valley, are often discovered among artifacts donated to The Museum. It is your Museum's responsibility to preserve and share such discoveries for our constituents and for future generations. The photo album, created by the late Raymond Estavillo during his Army Air Corps service in Hawaii just before the Japanese attack on Pearl Harbor, is an important example of such an unexpected treasure. 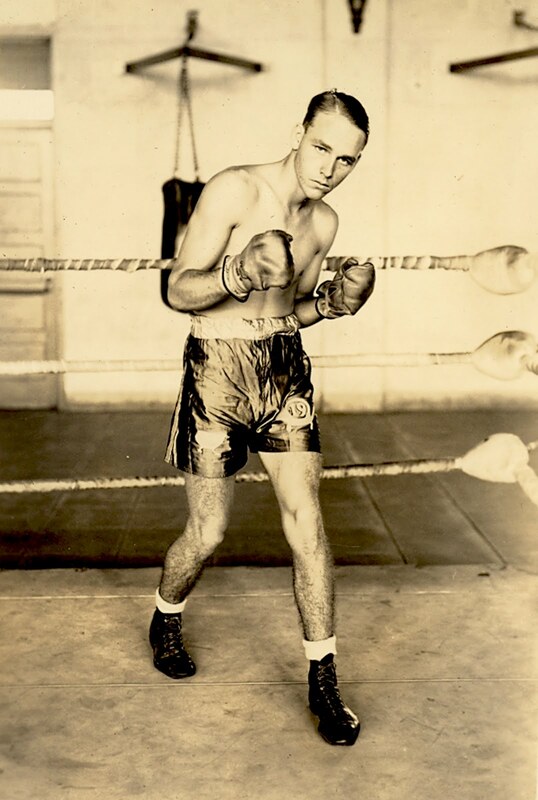 These boxing photos taken at Schofield Barracks, just prior to World War II, are a great example such a discovery. Boxing was a major activity in the United States armed forces prior to World War II. Private Raymond Estavillo was very proud of the ring athletes in his Company and kept images of them in the photograph album.